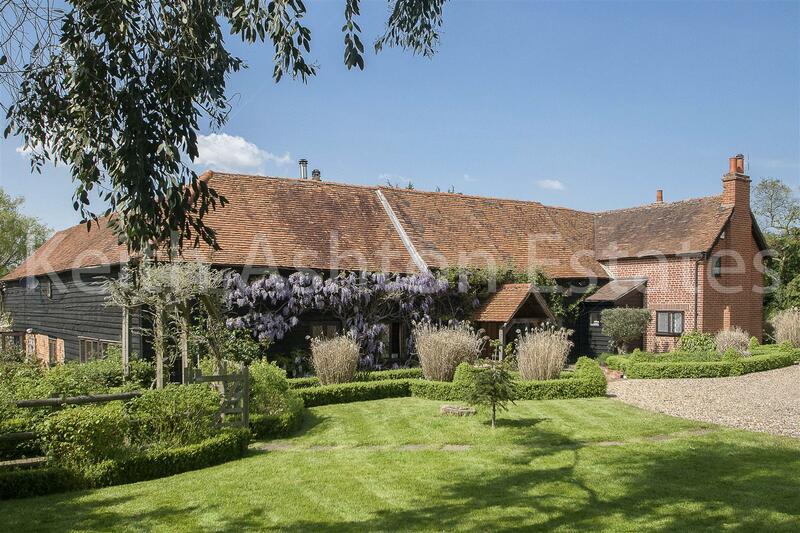 An impressive six bedroom former barn, set amongst beautiful grounds of 3.5 acre (stls) boasting a private and peaceful setting. 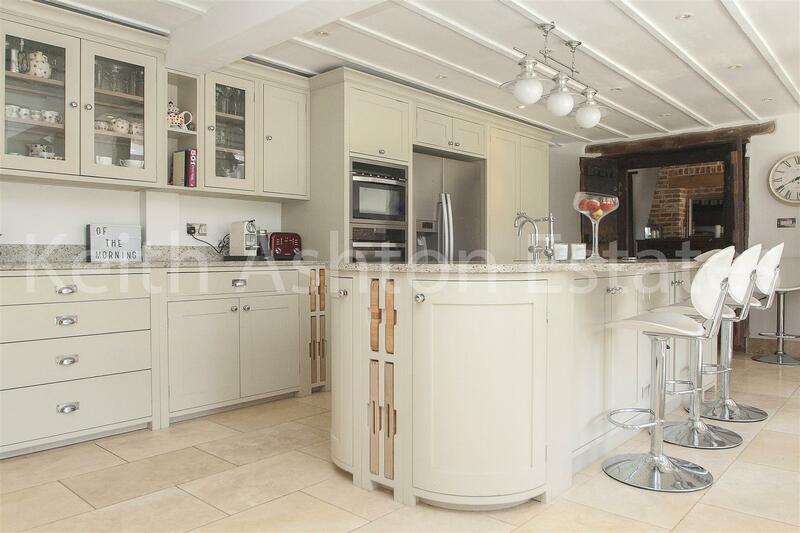 Situated in the favourable hamlet of Navestock Side offering an idyllic rural location, perfectly positioned within a short distance of Brentwood Town. Approached via double electric gates, a sweeping gravel drive opens onto the property and its various garden areas which include two terraces, a number of outbuildings and its own private lake. 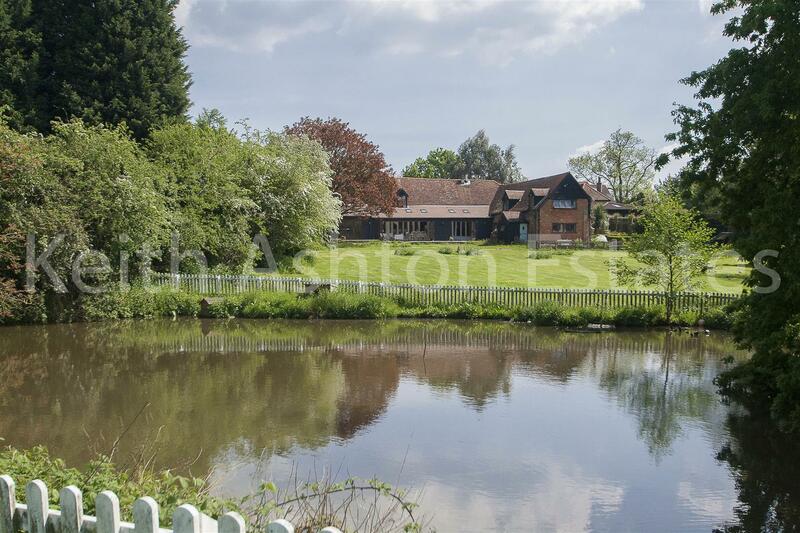 Internally, many fine features include an imposing reception hall, fantastic vaulted dining and sitting rooms, both with magnificent fireplaces and in addition an impressive kitchen/family room with open studwork overlooking the garden and lake. 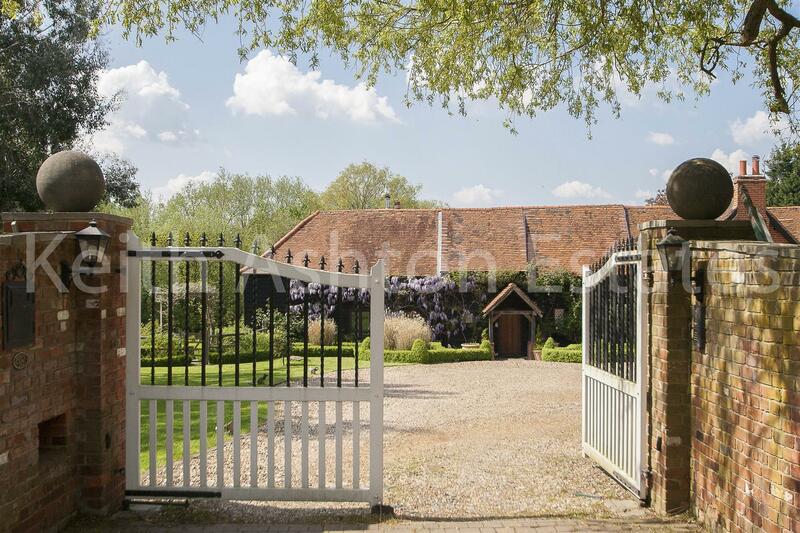 Woodside is accessed via electric double gates, giving an impressive view of the property itself. A very large sweeping gravel driveway provides ample parking in addition to some well tended lawned areas. The entrance hall, an imposing room, with a grand central fireplace shared with the vaulted sitting room also boasting impressive flagstone flooring and ornate solid oak doors to most areas. 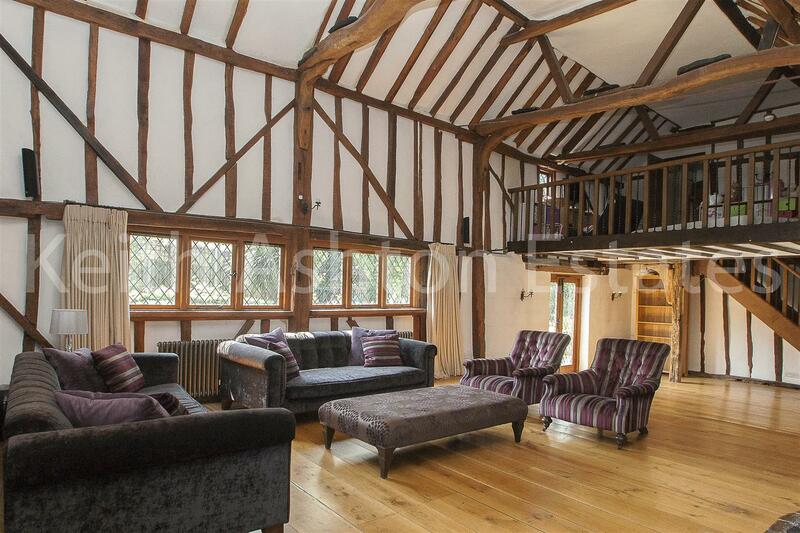 The main sitting room gives a superb feeling of space, by way of vaulted roof line with exposed beamwork, the grand fireplace and staircase leading to a mezanine area, currently being used as a study. Adjacent to the study area is a lovely guest bedroom, complete with en-suite and views over the rear garden. The remaining half of Woodside offers generous accomodation, a large part being the fully equipped and well planned kitchen and family area with five-fold doors opening onto the garden and lake. An inner hallway leads to a substantial master bedroom suite, complete with dressing area and a further three bedrooms, two of which are en-suite. A fantastic en-suite bedroom is located above the main entrance hall and once again offers views over the grounds. 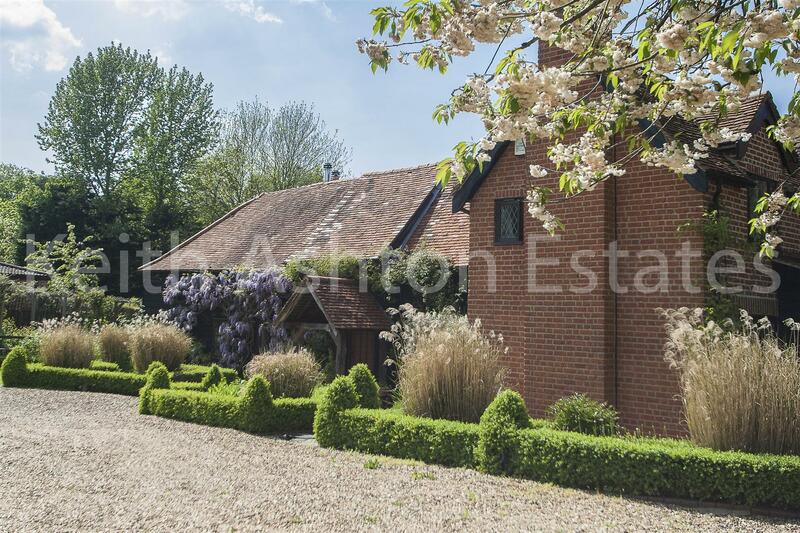 The property itself is set amongst a 3.5 acre plot which as mentioned previously provides a substantial frontage and a gravel driveway offering extensive parking for a number of vehicles. A number of terraces compliment the property's main garden area, which is mostly laid to neat lawn and encompasses a large lake and a number of outbuildings. Particular attention has been paid to planting and as such Woodside now offers delightful elevations in many parts. In conclusion, Woodside in our opinion offers a wealth of charm and character by way of exposed timbers, grand fireplaces, latched and ornate solid oak doors, not to mention superb exposed beams and studwork. 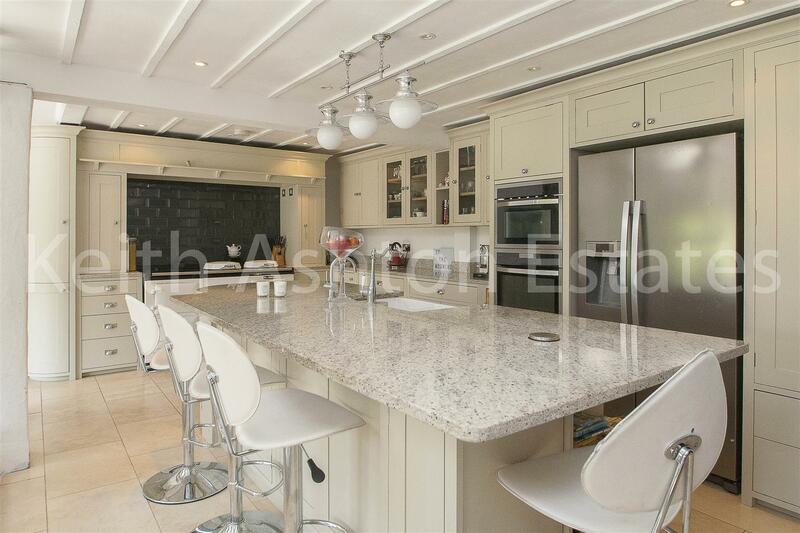 Amongst grounds of approximately 3.5 acres (stls) Woodside offers a fantastic rural setting with a large degree of privacy, yet is within just a short distance of Brentwood Town centre and mainline station. Also, within just moments of the local church, village green and cricket pitch and of course the now renowned Alec's Restaurant.